Biological Diversity; though it may seem like a scientific phrase that would be difficult to understand, it simply means living organisms and their co-existence. But what is meant by living organisms and the manner in which they co-exist? Biodiversity for shorten helps you to create a vivid picture of how all living things are important to maintaining a healthy environment. Within the Ministry of Sustainable Development, Environment and Technology hails a small unit called The Biodiversity Unit. This small unit comprises of four persons; Sustainable Development and Environment Officer/ Biodiversity Coordinator, Biosafety Implementation Project Coordinator, Project Coordinator for the revision of the National Biodiversity Strategy and Action Plan (NBSAP) and the preparation of the national report and a clerk/typist who does everything else in addition to her main duties. Their responsibilities include but are not limited to the coordination of activities for the conservation, restoration and sustainable use of the island’s rich biodiversity which is the most valuable resource found in our country. Have you ever wondered, apart from a lovely melody delivered by a bird, what else can this bird do to benefit me or why are mangroves so important? Or why should I play a role in the conservation and sustainable use of our resources? Well guess what, birds aid in seed dispersal, the mangroves acts as a safe haven for young fish and crustaceans, the coral reefs creates a barrier for the shorelines. Although our island is small, the biological diversity is quite abundant. While we are aware of various forms of biodiversity use on a daily basis, there are still avenues that have not been exploited, e.g. the medicinal values of our poisonous snake venom. Hence the reason the Biodiversity Unit is charged with those responsibilities, conserving and managing those resources so they are not over exploited .i.e. the sustainable use. The revised National Biodiversity Strategy &Action Plan will serve as a roadmap for more effective management of Saint Lucia’s biological resources to achieve three very important objectives, i.e. the conservation, sustainable use of genetic resources and the fair and equitable sharing of benefits that arise from the use of these resources. 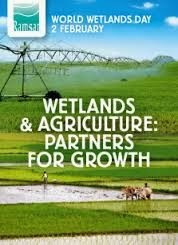 This calls for the mobilization of resources to implement a suite of measures which amongst other things, seek to add value to genetic resources through research, development and commercialization respecting principles of sustainable use to engender socio-economic development of local communities and the nation at large. This new NBSAP also proposes novel institutional arrangements to guarantee effective biodiversity management in Saint Lucia. A number of governmental departments such as Finance and Economic Development Unit, Forestry Department, Water Resource Management Agency, Agriculture and Fisheries Department, Investment Services and Local Government to name a few. Non-government organizations include Caribbean Youth Environment Network (CYEN) and Saint Lucia Manufactures Association. These projects are funded by UNEP and GEF. The onus is now on us my fellow SaintLucians to give our full support to these dedicated persons to make it a successful, because if our fauna and flora species are not saved the implications will be dismal. Birds sing their lovely melody, a cool fresh breeze embraces your body and mind, makes you feel refreshed, tranquil! What a wonderful experience you are graced with in the forest. But many may ask, what is a forest? A forest is a densely vegetated piece of land where a variety of living things; trees, wildlife, shrubs, ferns, mosses and lichens occur naturally. This area can provide a range of goods and services to human beings. However, it is continually being destroyed by the same people that it benefits. Thus it was deemed necessary by the United Nation Food and Agriculture Organization that every year March 21 be designated as World Forest Day. 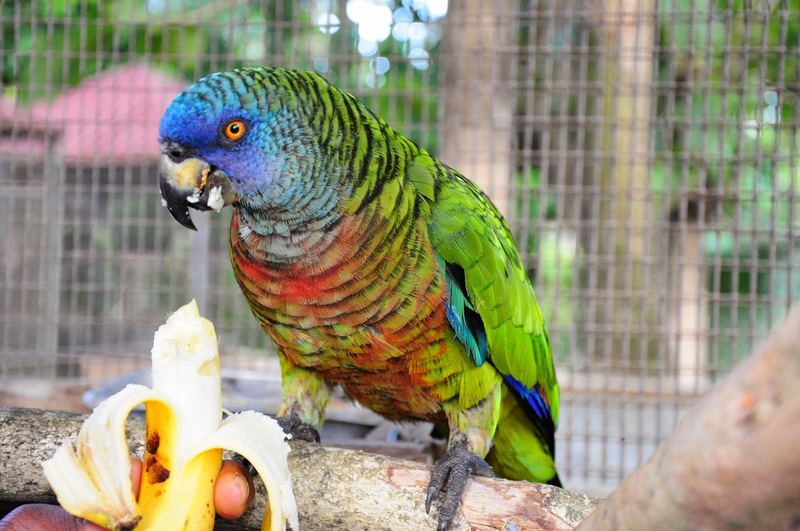 many species of plants and animals which includes our national bird, Jacquot. The trees are converted into timber and used to build homes, furniture and other wood products. The rivers that we rely on for a steady supply of water all originate from the mountainous forested areas of the island interior. Very dense leaf litter formed by fallen leaves act as a barrier to reduce the impact of raindrops which cause soil erosion, while the roots bind the soil to prevent land slippage. The trees filter the air by absorbing carbon dioxide and releasing oxygen as a by-product of photosynthesis. This also regulates the atmosphere’s temperature and plays a vital role in climate control. The forest can also be used for studies by scientists as they carry out research in many areas including on the cure for many diseases. Many activities are being held to commemorate the importance of this significant natural resource. These include sharing information on the benefits that we stand to gain through forest conservation, tree planting activities - done to replace lost forest which due to natural disasters or deforestation. Make a wise decision today and help in conserving our forest, as the benefits are unlimited. Remember; take nothing but photographs, leave nothing but footprints, kill nothing but time when enjoying our forest reserve.